An opening ceremony on January 19, 2016, saw a new gas-fired combined heat and power plant being put into operation at SAIC VOLKSWAGEN AUTOMOTIVE COMPANY LIMITED - a joint venture between Chinese SAIC and German Volkswagen Group. 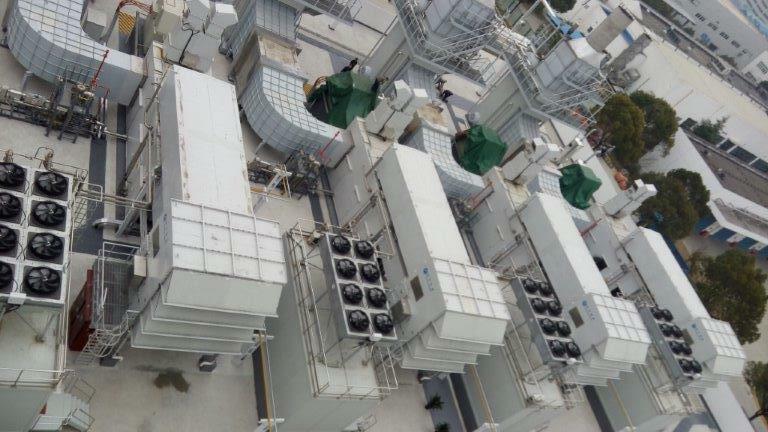 The plant contains four sets of MGT 6200, the latest range of gas turbines by MAN Diesel & Turbo. Attending the ceremony were Prof. Jochen Heizmann, President and CEO of Volkswagen Group China, and Dr. Uwe Lauber, CEO of MAN Diesel & Turbo. “The inauguration of this combined heat and power system is a landmark for our car production in China. The new plant not only provides steam and electricity for our Car Plant 3 here at SAIC Volkswagen, it also means we no longer use coal boilers so CO2 emissions will be reduced by 59,000 tons each year,” explained Prof. Heizmann during the ceremony. The plant also marks the premiere of MAN Diesel & Turbo’s latest gas turbine series in China, with the order dating back to December 2014. Each of the four turbine sets delivers electrical power by driving a generator. Additional use of the waste heat for producing process steam increases the plant’s overall efficiency to more than 80 percent. The steam is used at the production works of the Volkswagen Joint Venture in China. With awareness of air pollution in China increasing, the government is pursuing an active program to lower emission levels and increase energy efficiency. 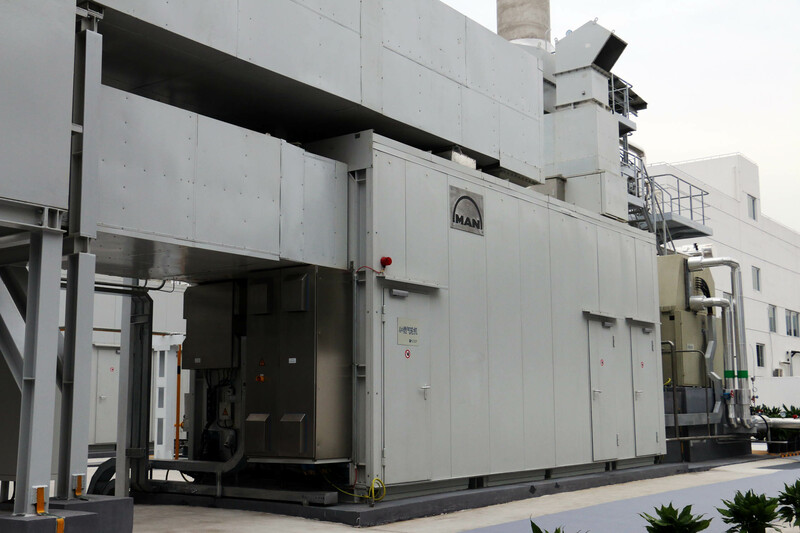 The new CHP plant fulfills this objective by producing electricity to cover 100 percent of the annual demand in Car Plant 3 and the neighbouring gearbox plant in Anting, thereby reducing CO2 emissions by approximately 23 percent. According to the National Energy Administration, the gas supply in China is expected to reach 400 billion cubic metres in 2020, and natural gas will increase to represent 10 percent of primary energy consumption. Natural gas as a clean, efficient energy source is receiving increasing attention from the government and will gradually become one of the backbones of China’s energy supply.